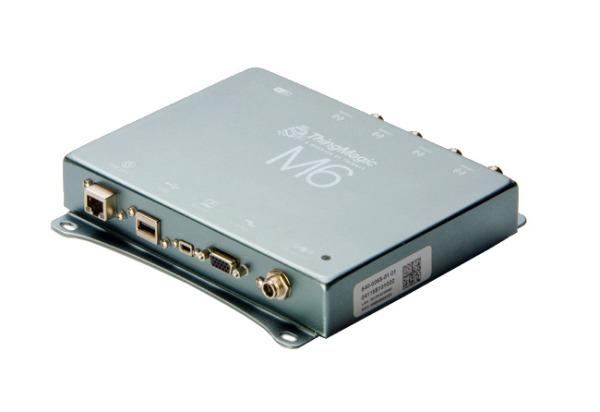 Trimble announced that its ThingMagic Mercury6 (M6) RFID reader will be part of the ng Connect Program’s Connected Service Vehicle, which showcases a full suite of cloud-based services designed to deliver office productivity to vehicle-based workers. In this concept vehicle, the ThingMagic reader will be used to support work order based inventory management and tool tracking applications to illustrate aspects of a typical service visit. As a collaborating member of the ng Connect program, Trimble is providing the development platform for in-vehicle RFID solutions and sensor technology for high-volume commercial, industrial and enterprise applications. Using the vehicle as the basic point of data capture can enhance productivity – uploading asset information from the vehicle to a central data aggregation layer for anywhere, anytime consumption by a variety of applications. The new connected user experience will be unveiled at the 2013 Consumer Electronics Show, January 8-11, in Las Vegas in the Alcatel-Lucent Booth #31412.